← Internship at Stouse, Inc. Designed as the Greatest Wedding Gift Toaster of All Time! 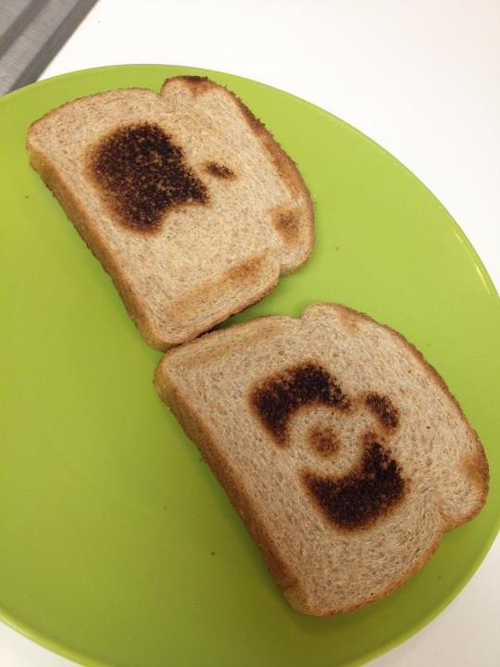 My goal was to make a toaster that could “print” specific images on toast. 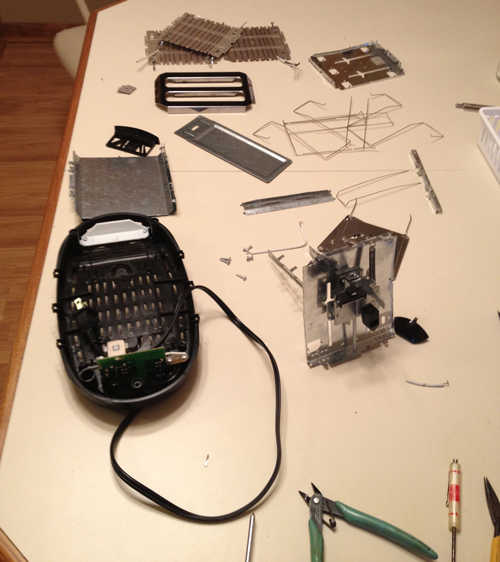 Naturally, I started by take apart a toaster (or two). In fact, the toaster you see dissembled here already does what I want to do, except it has some sports team logo I didn’t recognize (Yay sports! Go team!). It’s a bit hidden in the image, but it uses a metal plate to essentially block the heat, controlling where the toast will burn. This was one of my two theories on how this might be possible, the other was something like a brand, but this seemed like the best approach so I went with it. It was fairly easy to modify the gift toaster to accommodate a similar metal plate, so the bulk of the challenge was making the actual plates. I borrowed a jeweler’s saw, bought some diamond files, and used the scrap metal for the plates, so the cost of the project was very low. I started by cutting the scrap metal into squares. Then I drew the shapes on the metal. I used a drill to create a starting place for the saw and started cutting out the shape I drew. When I had the shape cut, I drilled holes at the top of the plate where I could attach it inside the toaster. I chose the camera image because the bride and groom were both professional photographers, owning their small photo business, Connection Photography. The apple, which may or may not resemble the Apple Inc. logo, has a duel meaning. The groom is a fan of Apple Inc., even more so than I am. 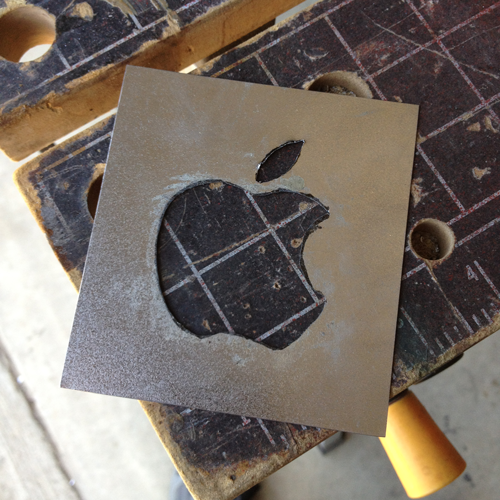 He’s always the first to buy the latest iDevice, and he’s always creating cool projects involving Apple products. The bride, on the other hand, was just beginning her career as a teacher, and for some reason apples have become a symbol for education. I might have to look up the origin of that connection sometime… Anyway, as you can see, the product of the final product turned out great! So, if you invite me to your wedding… I’ll make you a pimped out toaster. I’m basically like the Cake Boss, but for toasters. This entry was posted in Categories and tagged creative engineering, favorites, personal projects, toaster, wedding gift. Bookmark the permalink.